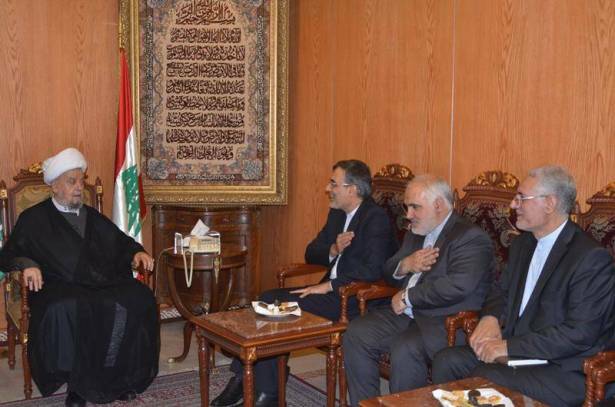 Head of the Islamic Supreme Shiite Council, Sheikh Abdel Amir Qabalan, on Wednesday met with Iran's Deputy Foreign Minister for Arab and African Affairs, Hussein Jaber Ansari, accompanied by Iranian Ambassador to Lebanon, Mohammad Fathali, at the Council's headquarters. Talks reportedly touched on most recent developments on the Arab and Islamic world. Sheikh Qabalan hailed Iran as the salvation platform and guarantee for Muslims in the world, saying Iran should remain a connecting point amongst Muslims and the guardian of their unity after the fall of the malicious conspiracy that sought to break up the nation and distort the image of true Islam. Ansari, for his part, stressed the paramount importance of unity, partnership and harmony amongst the Arab and Islamic nations at the current juncture.